This is the reproduction patch commemorating the 1st AAC A-10 Unit, the 18th Tactical Fighter Squadron. 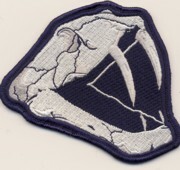 This patch was created to mark the 18th TFS "Blue Foxes" as Alaskan Air Commands first A-10 unit in 1982 ( I think the first two arrived in late '81). 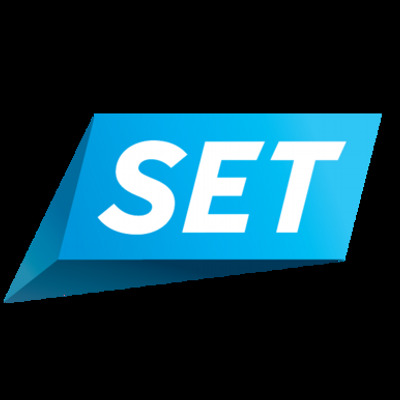 This is one of several designs. The 23d Fighter Group (23 FG) is a USAF unit. It is assigned to the 23d Wing and stationed at Moody Air Force Base, Georgia. The 23 FG was established in World War II as the 23d Pursuit Group of the United States Army Air Forces (USAAF). 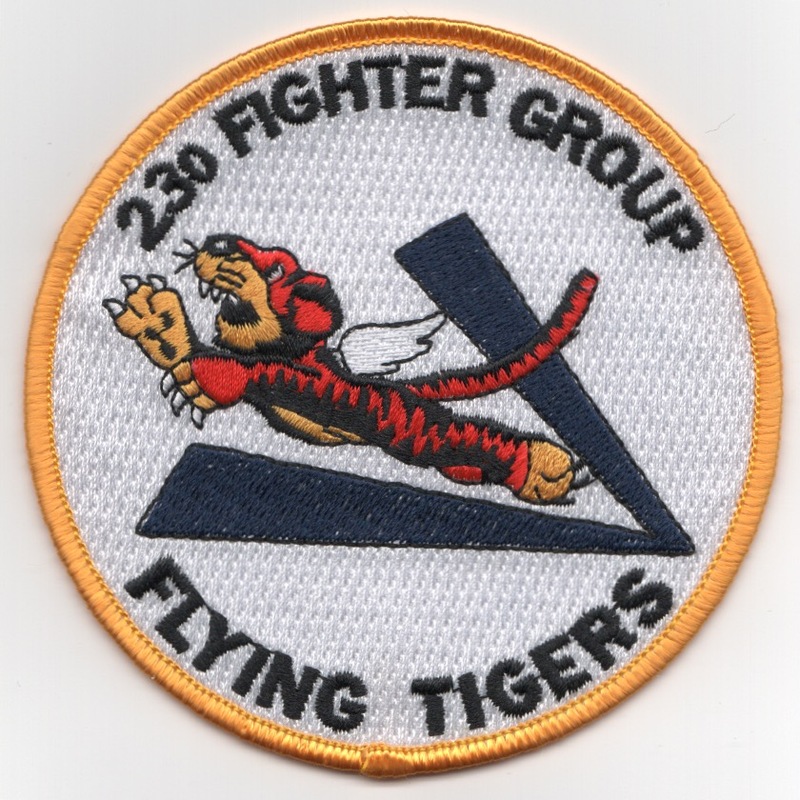 Redesignated the 23d Fighter Group before its activation, the group was formed in China on 4 July 1942, as a component of the China Air Task Force and received a small cadre of volunteer personnel from the simultaneously disbanded 1st American Volunteer Group (AVG) Ð the "Flying Tigers" of the Chinese Air Force. To carry on the traditions and commemorate the history of the AVG, aircraft of the USAF 23d Fighter Group carry the same "Shark Teeth" nose art of the AVG's Curtiss P-40 Warhawks, along with the "FT" (Flying Tiger) tail code. The 23d Fighter Group's aircraft are the only United States Air Force aircraft currently authorized to carry this distinctive and historical aircraft marking. This is the desert version of the current squadron crest patch for one of the A-10 squadrons stationed at Pope AFB, NC. It is from the 23rd FG/74th FS "Flying Tigers" operating the OA/A-10's. This emblem was used during 1990/91 in Desert Storm when they were then 23rd TFW based at England AFB, LA. It does NOT come with velcro attached. This is the subdued version of the current squadron crest patch for one of the A-10 squadrons stationed at Pope AFB, NC. It is from the 23rd FG/74th FS "Flying Tigers" operating the OA/A-10's. This emblem was used during 1990/91 in Desert Storm when they were then 23rd TFW based at England AFB, LA. It does NOT come with velcro attached. 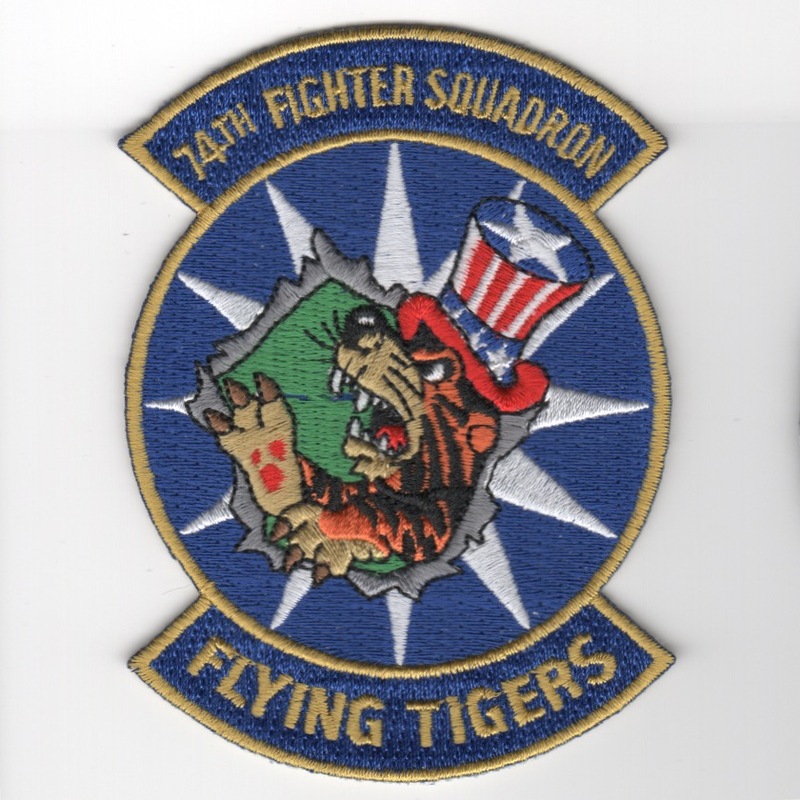 This is the color version of the current "squadron" patch for the 74FS, flying out of Moody AFB, GA now. This patch does not come with velcro attached. 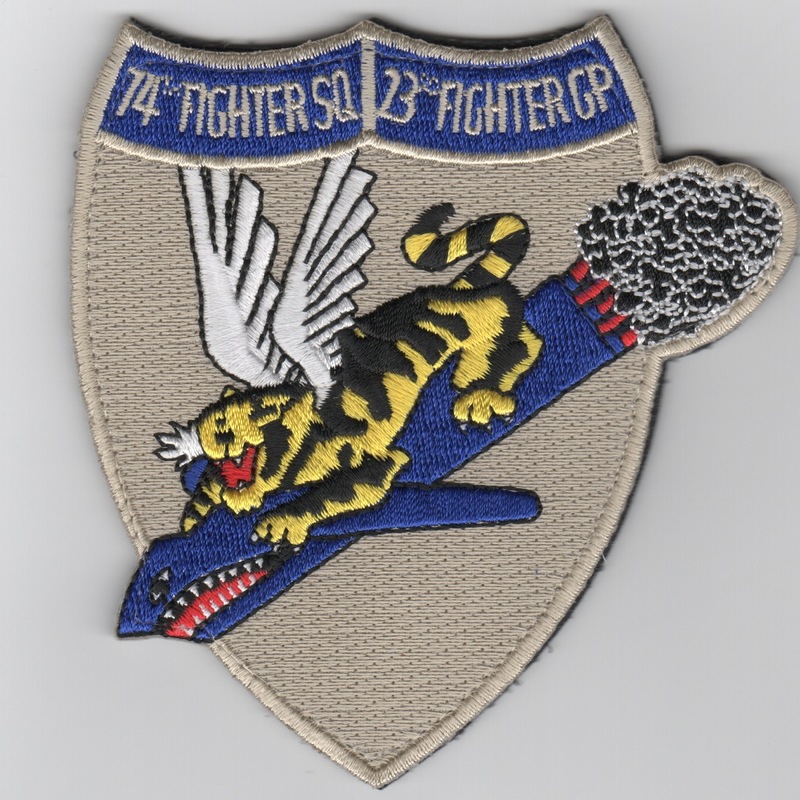 This is the color version of the current "shield" patch for the 74FS, flying out of Pope AFB, SC. This is the desert version of the "combined shield" of the 74th Fighter Squadron and the 23rd Fighter Group currently flying the A-10 out of Moody AFB, GA. This patch DOES come with velcro attached already. 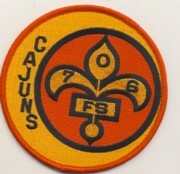 This is the color version of the current squadron patch for the 75FS, flying out of Pope AFB, SC. 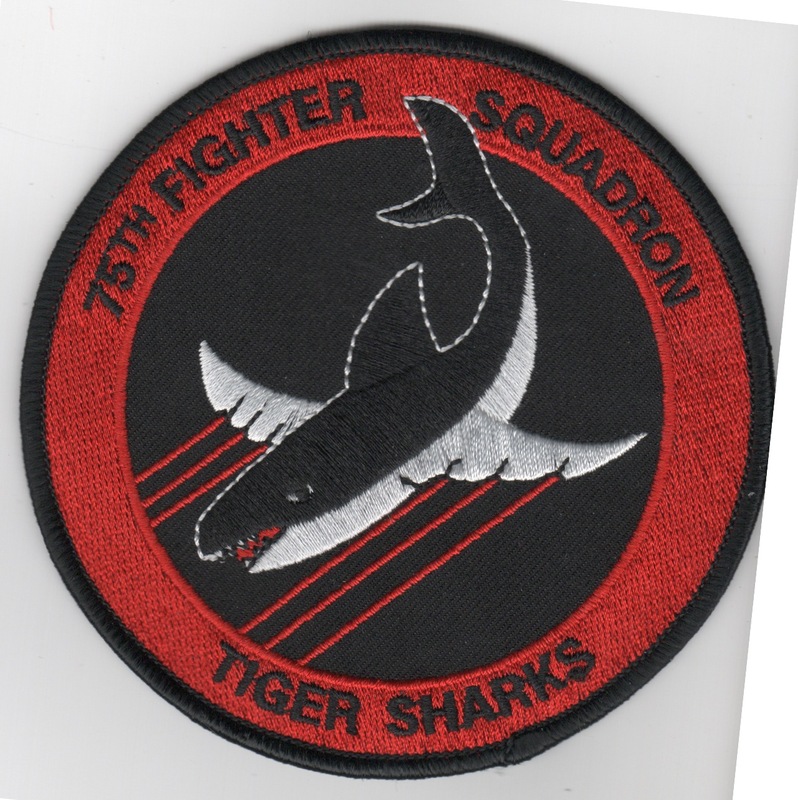 It shows the black "tigershark" (their mascot) with guns a-blazing. It does not come with velcro attached. 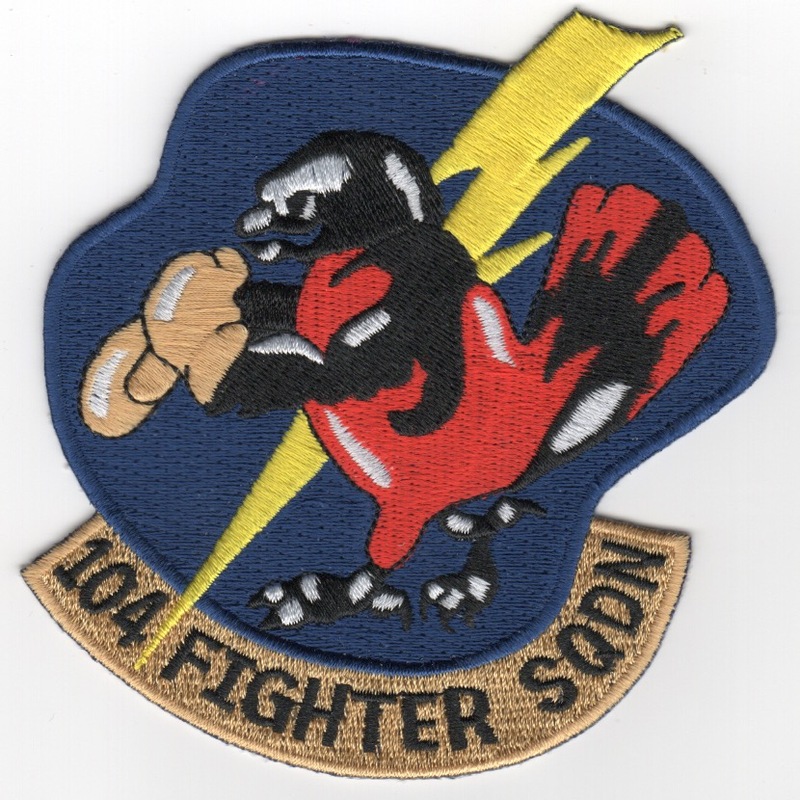 This is the 'blue' version of the current squadron patch for the 104FS, flying out of Baltimore as Maryland's ANG unit. The 104th Fighter Squadron (104 FS) is a unit of the Maryland Air National Guard 175th Wing stationed at Warfield Air National Guard Base, Middle River, Maryland. The 104th is equipped with the A-10 Thunderbolt II. The squadron is a descendant organization of the 104th Squadron (Observation), which was formed on 29 June 1921. It is one of the 29 original National Guard Observation Squadrons of the United States Army National Guard formed before World War II and is the oldest unit of the Maryland Air National Guard. This patch does not have velcro attached. 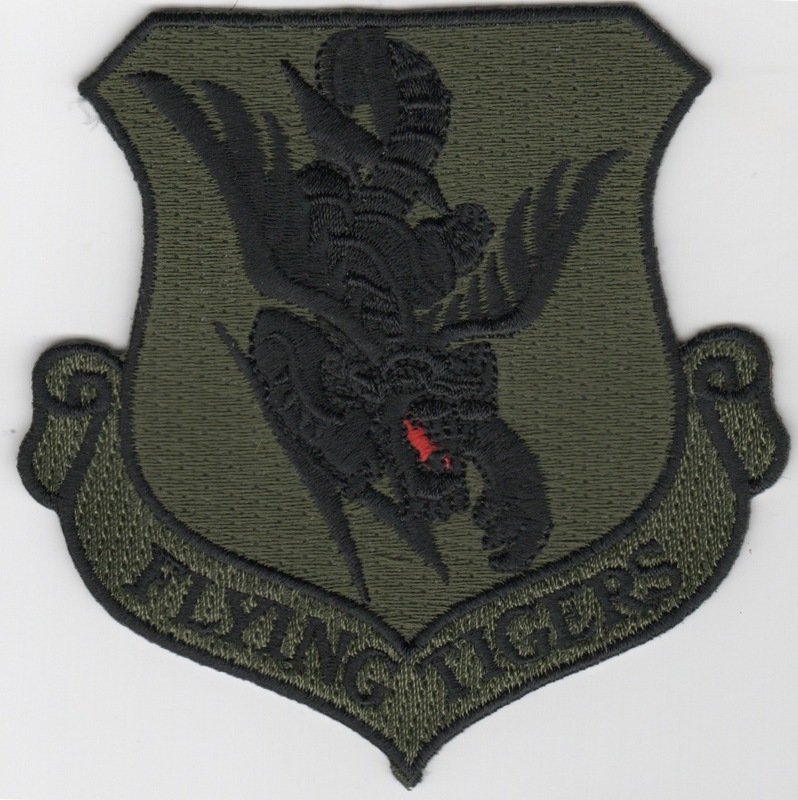 This is the 'desert' version of the current squadron patch for the 104FS, flying out of Baltimore as Maryland's ANG unit. The 104th Fighter Squadron (104 FS) is a unit of the Maryland Air National Guard 175th Wing stationed at Warfield Air National Guard Base, Middle River, Maryland. The 104th is equipped with the A-10 Thunderbolt II. The squadron is a descendant organization of the 104th Squadron (Observation), which was formed on 29 June 1921. It is one of the 29 original National Guard Observation Squadrons of the United States Army National Guard formed before World War II and is the oldest unit of the Maryland Air National Guard. This patch does not have velcro attached. 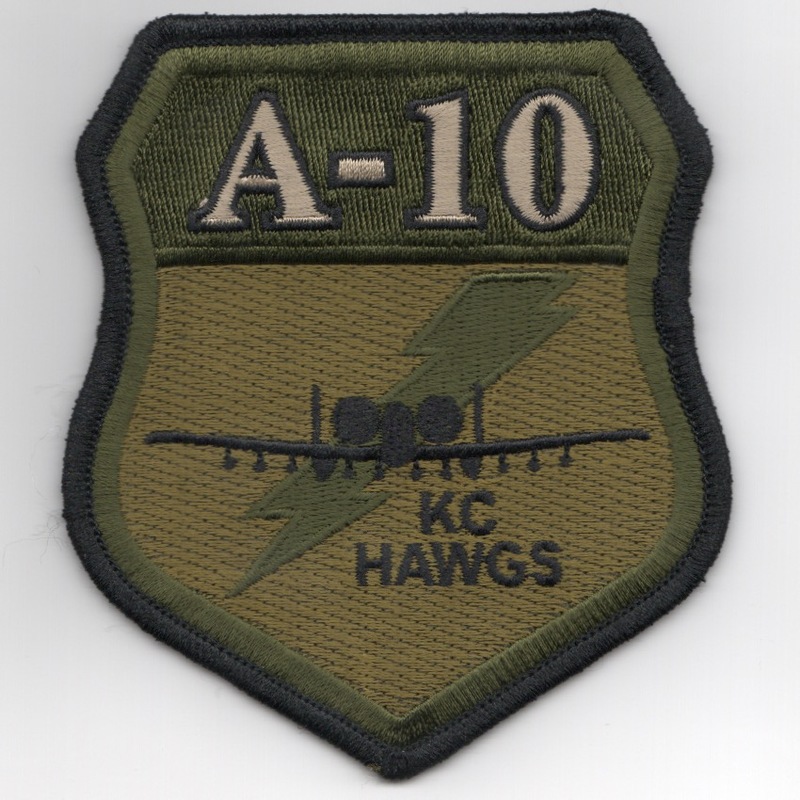 This is the color version of the current "mascot" patch for the 104th Fighter Squadron flying the A-10 Hog out of Baltimore. MD as Maryland's ANG unit. 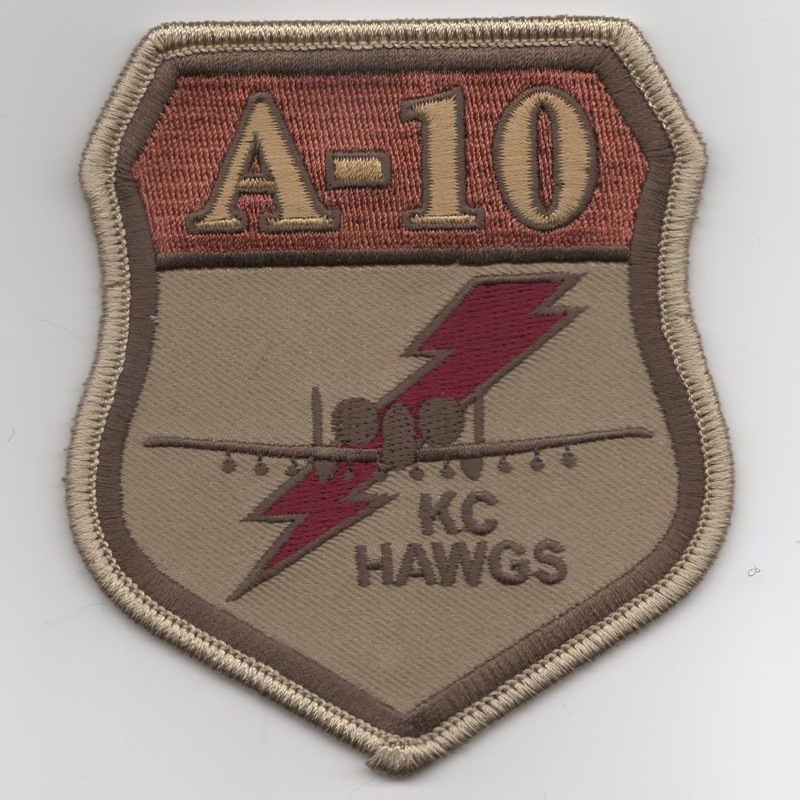 This is the desert version of the current "mascot" patch for the 104th Fighter Squadron flying the A-10 Hog out of Baltimore. MD as Maryland's ANG unit. This is the color version of the current squadron patch for the 118FS, flying the A-10 Warthog as the Conneticut ANG unit. This is the color version of the current squadron patch for the 131st Fighter Squadron that flies the A-10 Hog out of Barnes, MA for the MA Air National Guard. This is the desert version of the current squadron patch for the 131st Fighter Squadron that flies the A-10 Hog out of Barnes, MA for the MA Air National Guard. This is the desert version of the crest patch for the 131st Expeditionary Fighter Squadron that flies the A-10 Hog out of Barnes, MA for the MA Air National Guard. It says "Damn Yankees" and shows a "Minute Man" holding the A-10s 30mm Gatling Gun.....It does not come with velcro already attached. The 163d Fighter Squadron is a unit of the Indiana Air National Guard 122d Fighter Wing located at Fort Wayne Air National Guard Station, Indiana. The 163d is equipped with the A-10 Thunderbolt II...... It does not come with velcro already attached. 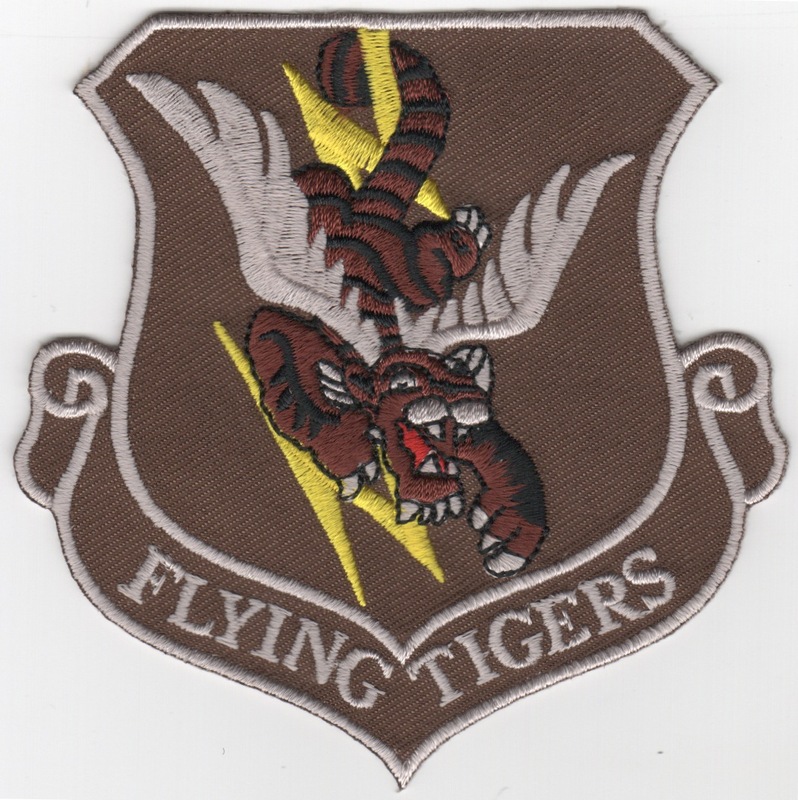 This is the color version of the current squadron patch for the 172FS, flying out of Battle Creek as Michigan's ANG unit. 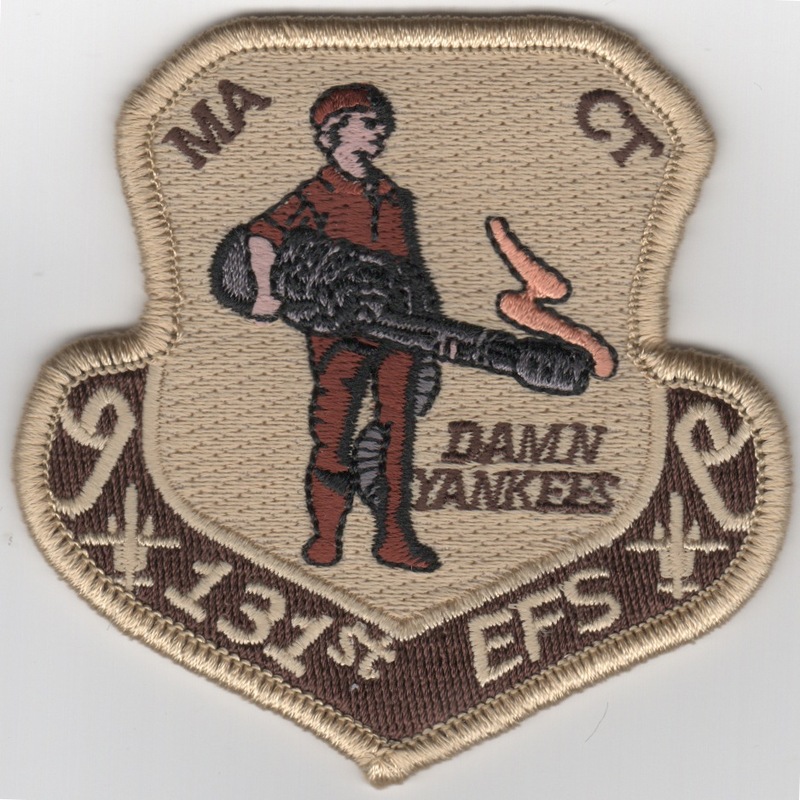 This is the desert version of the current squadron patch for the 172FS, flying out of Battle Creek as Michigan's ANG unit. 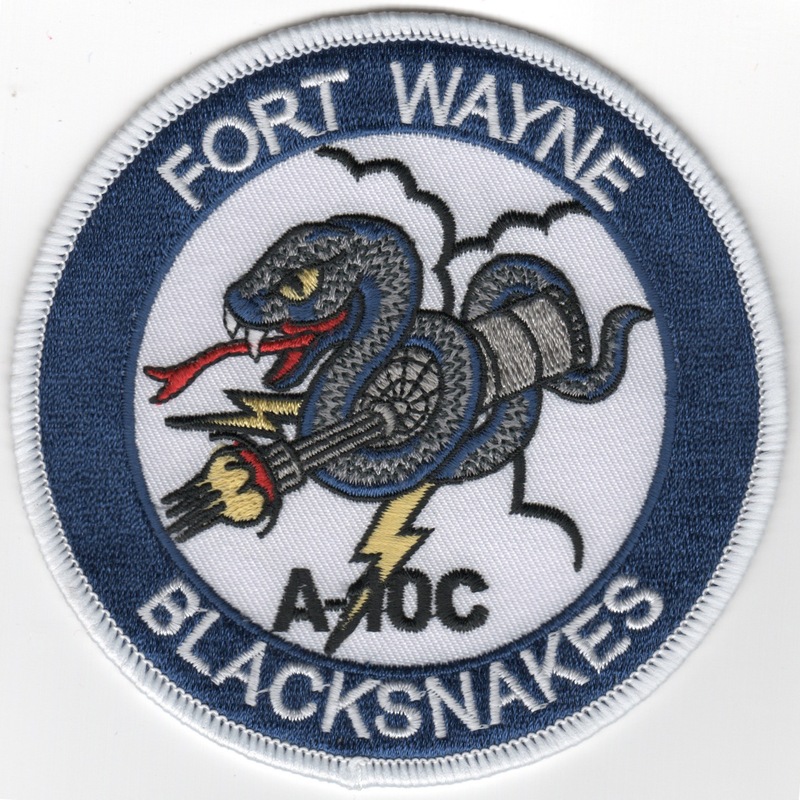 This is the color version of the current aircraft patch for the 172FS, flying out of Battle Creek as Michigan's ANG unit. The 174th FW traces its origins to the 138th Fighter Squadron. On October 28th, 1947, the squadron was federally recognized and integrated within the state of New York's Air National Guard. The 174th TFW was the first ANG A-10 to deploy to Germany under operation "Coronet Sail" in 1981. It returned there in 1984 as part of operation "Coronet Giant". That same year, the wing also took part in a "Gunsmoke" competition at Nellis AFB, NV. In 1988, the 174th TFG began conversion to the F-16A Close AIr Support; a conversion completed in March 1989. As a result of Operation Desert Shield/Storm, the 174th was called to was called to active duty and deployed to Al Kharj AB, Saudi Arabia with the units' F-16s arriving on January 3 1991. With the war over on February 28, 1991, the 174th was released from active duty on June 1991. With an internal reoganization in Air Force and ANG command structure, the 174th Tactical Fighter Wing was redesignated as the 174th Fighter Wing in 1993, gaining both personnel and organizational groups as a result of this change. This is the 190 FS "Skullbangers" A-10 patch for the Idaho ANG flying out of Boise, ID. 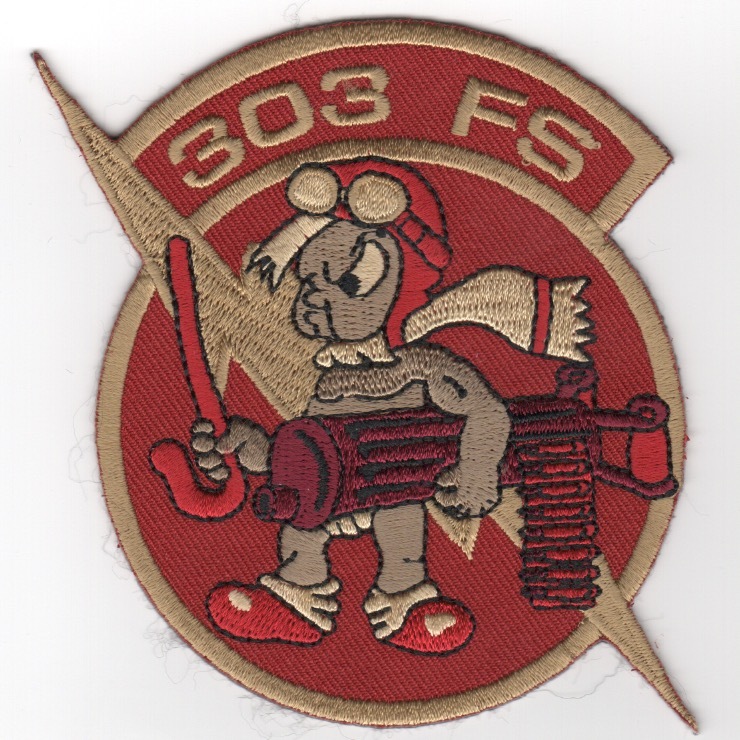 This is the historical, red version of the 303rd Fighter Squadron which has history relating to the Whiteman-based A-10 AFRES unit. This unit was previously based Kansas City. Their sister squadron is the 706th FS. This patch does not have velcro attached. This is the historical, maroon version of the 303rd Fighter Squadron which has history relating to the Whiteman-based A-10 AFRES unit. This unit was previously based Kansas City. Their sister squadron is the 706th FS. This patch does not have velcro attached. 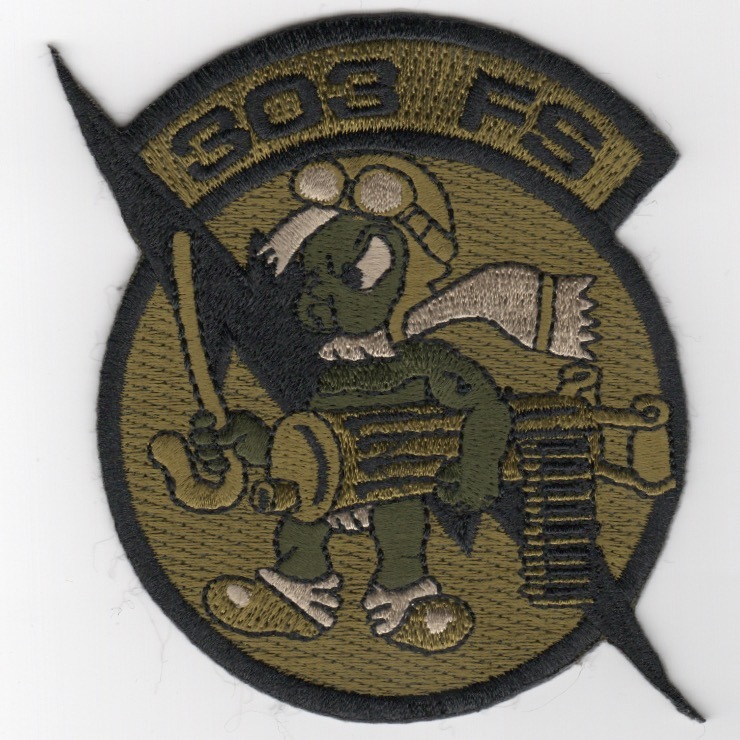 This is the historical, subdued-green version of the 303rd Fighter Squadron which has history relating to the Whiteman-based A-10 AFRES unit. This unit was previously based Kansas City. Their sister squadron is the 706th FS. This patch does not have velcro attached. This is the subdued green version of the 303rd Fighter Squadron/KC HAWGS crest which depicts the mighty A-10 Warthog frontal view. This patch does not have velcro attached. This is the desert version of the 303rd Fighter Squadron/KC HAWGS crest which depicts the mighty A-10 Warthog frontal view. This patch does not have velcro attached. 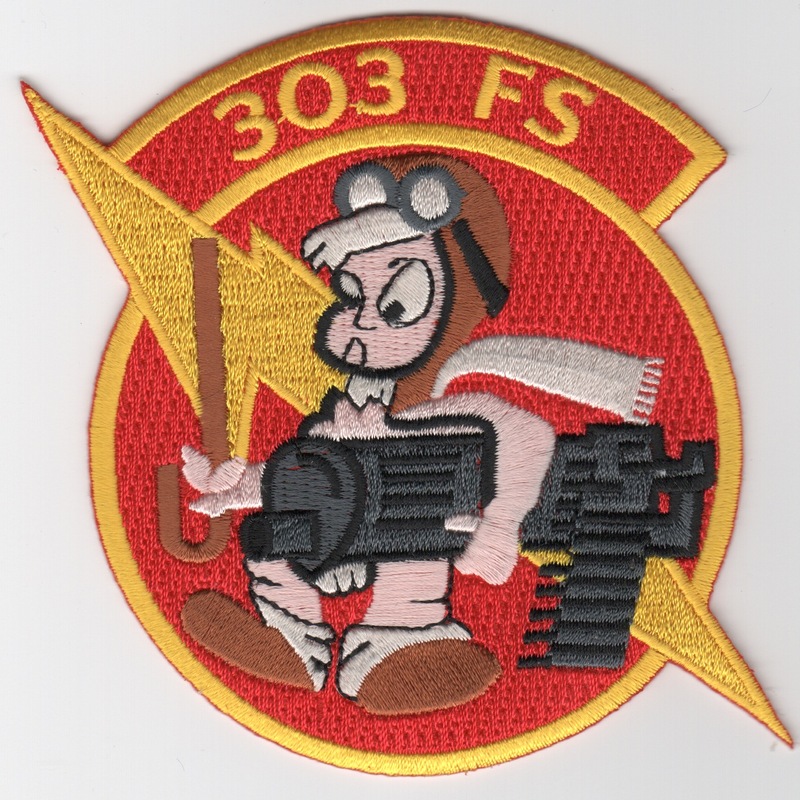 Use this link to get all FIVE of the 303FS patches listed above at a discount. This is the color version of the Operation Desert Storm crest patch for the 354th Tactical Fighter Wing flying the A-10 Hog out of Davis-Monthan AFB, AZ. They were forward deployed to PSAB, Saudi Arabia (I think). This is the color version of the current squadron patch for the 354th Fighter Squadron flying the A-10 Hog out of Davis-Monthan AFB, AZ. 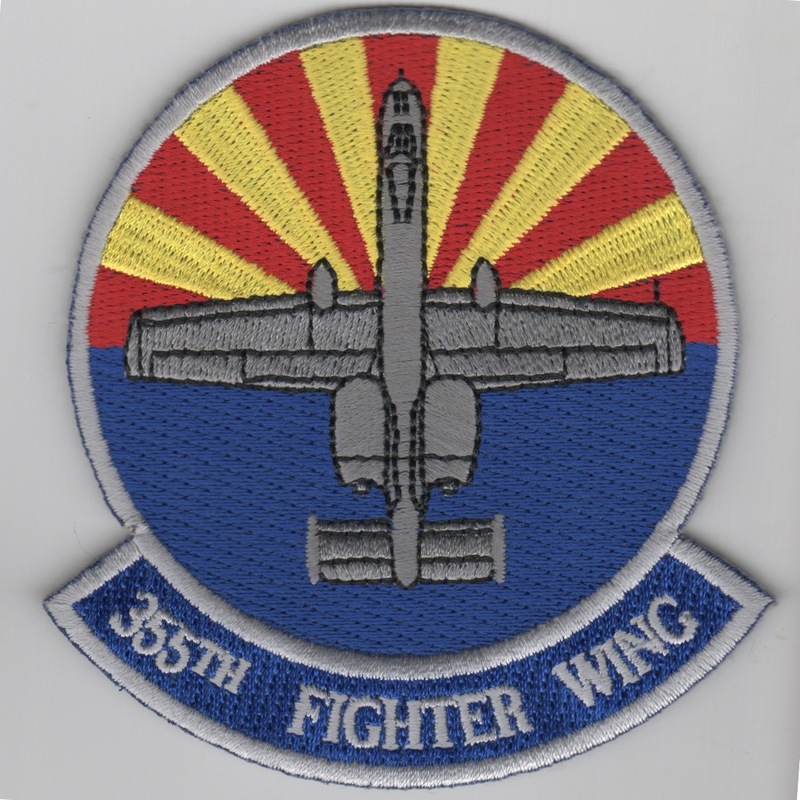 This is the desert version of the current squadron patch for the 354th Fighter Squadron flying the A-10 Hog out of Davis-Monthan AFB, AZ. The 355th Fighter Wing (355 FW) is a United States Air Force unit assigned to the Air Combat Command's Twelfth Air Force. It is stationed at Davis-Monthan Air Force Base in Tucson, Arizona, where in operates the A-10 Thunderbolt II. The wing's mission is to provide close air support (CAS), air interdiction (AI), forward air control (FAC), combat search and rescue (CSAR), ground based tactical air control, and airbase operations. This patch does not have velcro on the back. This is the desert version of the current squadron crest patch for the 355th Fighter Squadron flying the A-10 Hog out of Eielson AFB, AK. This is the color version of the squadron patch for the 706th Fighter Squadron flying the A-10 Hog out of Baton Rouge (I think) LA. Homepage | Order A-10 SQDN Patches!